Visit the official website of SRMJEE. Enter the Application Number, Program applied for and Date of Birth and click on submit. Download the SRMJEE scorecard and keep it until the admission process is over. Results: SRMJEEE 2019 results will be published on the institute website: www.srmuniv.ac.in on 28th April 2019. Availability: Students can check their results on the official institute website when it is made available by using their SRMJEEE 2019 application number. Candidate's rank and any other related information regarding SRMJEEE 2019 will be sent via SMS to the number that the candidate has provided during registration. After the SRMJEEE 2019 result is announced, the marks secured by all candidates in SRMJEEE 2019 will be considered and based on it, a merit list and a counseling schedule will be prepared and counseling will go accordingly. Visit the official page of SRMJEEE. Click on the link provided for SRMJEEE results. You will be redirected to a new page which is specifically de for results. Enter your SRMJEEE registration number and click on submit. The SRMJEEE 2019 results will be displayed on the screen. Print a copy of the SRMJEEE 2019 results for further reference. A candidate can not challenge SRM JEEE 2019 result as results are computer generated and based on marks secured by the candidate. SRMJEEE 2019 results are generated with the utmost care and are based on scrutinized OMR sheets. Candidates cannot demand for revaluation of answer sheet, such demands or requests won't be entertained by SRM. SRMJEEE 2019 results are final. Candidates won't be given access to or given a copy of answer sheet of SRMJEE 2019. After the results are announced the candidates who qualify for SRMJEEE 2019 based on results will be eligible for counselling. SRM JEEE result will be released on the institute's official website and candidates will be informed via SMS or Email through the details that they have given during registration. SRMJEEE rank list will be prepared on the basis of results of SRMJEEE 2019. The candidates will be called for counselling after the results are declared. SRM counseling will take place in two rounds. Candidates will be called for counseling on the basis of their rank in SRMJEEE 2019 and as per the rank, list prepared. How can I get my result for SRMJEEE? 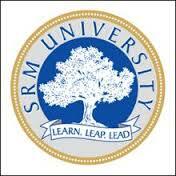 The results for SRMJEEE will be announced in the month of May on the official website of SRM University. You will also be notified through an SMS on your registered mobile number.